A week ago today, just a few hours before I had to return to Jose Marti International Airport, I stepped into the backseat of a bicycle taxi driven by a twenty-something named Josue. I had no idea who he was, that he had a five-year-old daughter with big, brown beautiful eyes, that he struggled with asthma, that he lived in Old Havana. He didn’t stand out from the other Bici-taxi drivers—sinewy guys in secondhand T-shirts. There’s a look to the guys moving the gringos about. I asked him to take me to Fin de Siglo, a market not populated by gringos. He drove me there, and it was closed, even though my hotel concierge told me it was opened. That was twice in one week that I had tried this market with no success. But that’s the thing with Cuba—you don’t learn about what’s opened or closed by researching online, if you’re lucky enough to get on the Internet. You learn Cuba by asking around, and going there, either to discover the doors opened or closed. Josue offered to take me to the San Jose mercado, a massive craft market on the waterfront that’s popular among tourists. Along the ride, we chatted in that broken, awkward way two people who don’t know enough words in one language do, but he had a warmth to him that I trusted. He coughed throughout the entire ride, and when I asked what was wrong, if he was okay, he said he had asthma. Our conversation was mostly in Spanish. I learned he was separated from the mother of his daughter. That soon, he’d be going to the pharmacy to pick up his asthma medication. That he didn’t smoke cigars because of his asthma. That the following day, Saturday, he would get to do his hair, drink some whisky, enjoy the weekend. Cuban men have a thing about hair. He showed me pictures on his phone of how he liked to style his hair. I wanted to tell him he spent more time on his hair than I did on mine, that my idea of going out was a shower and hopping into a convertible so that the wind could give me that beach-blown look I often have. He admired my eyes. I showed him a photo of my husband and daughter, said I missed my family but also enjoyed traveling alone. He jokingly said if I were his “chica,” he wouldn’t let me travel alone. I smiled, enjoying the sweetness of it all. Blonde ladies traveling solo from the Snow Belt are exotic in Cuba. I get it. When we got there, I asked him where I could pick up a taxi to get back to my hotel; I didn’t expect him to wait. He offered to come inside with me. So we wandered the market together. We were about the same height. Me and Josue looking at baskets. Me and Josue looking at jewelry. Me and Josue looking at art. When I stopped to admire a painting, and the vendor told me it would cost fifty, Josue leaned toward me and whispered to only pay forty. I wanted to spend more time at the market. I wanted to fly home with more Cuban art. I wanted to know more Spanish verbs so I could have a more meaningful conversation with Josue. But it was the end of my trip, I was running low on cash, I had used up the five or six Spanish verbs I knew, and I still had to throw my suitcase together and make my way back to the airport. That afternoon, I would be somewhere over the Florida Keys, heading north. I tried to explain to Josue I didn’t have enough to pay for both him and an artist. He kept putting his hands up, and if I understood him correctly—and, perhaps I didn’t—he told me not to worry about it. I got the impression he was giving me a free ride, and who anywhere anymore gets a free ride? I told him it was okay, we could go. On the drive back, he began talking to me about Santeria and the “Santos,” or saints. I never mentioned Santeria, but he seemed to want to tell me more about himself. He pulled over to two different Santeria shops, gently led me by the arm or the shoulder, showing me inside. He started pointing at things, speaking in a slow Spanish, sensing I was trying to tune into each word, like recognizing a song. I didn’t pick up everything he said, but admired the santos beaded bracelets he wore, which he pointed out were for sale in the store. I didn’t get the impression he wanted me to buy anything, but that this was something that was cool to him because he darted from one section of the store to the other, explaining things along the way. He pointed to ceramic urn-looking objects that he said you put food and offerings in; he mentioned he had a few of these at home. I could tell he wanted to share more with me, but we were limited by language, and I kicked myself for not practicing more Spanish before my trip. I didn’t buy anything, at the San Jose market or the Santeria shops, and Josue didn’t appear to care. After a few stops to Santeria shops, we were back in front of Hotel Parque Central, one of the city’s newest additions at only a decade old. Another example about how you learn Cuba at street-level: Hotel Parque Central sells five-hour Internet cards, a luxury in Havana where the telecommunications infrastructure is still embryonic. I discovered this by accident when my hotel, Hotel Telegrafo, informed me they were out of Internet cards, and offered no further explanation. 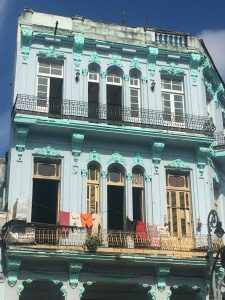 I ran across the street to Hotel Parque Central, made my way to the “Business Center,” another rarity in the Havana hotel scene, and was sold a five-hour Internet card for $10, a much better deal than the hourly cards that cost $4.50. There’s your Cuba travel tip for you. In front of Hotel Parque Central, I paid Josue more than the cost of the fare, and maybe he anticipated this or maybe he didn’t expect anything. I’ll never know. I hugged him goodbye, and he gave me a kiss on the cheek. I would miss him, even though I had known him for about an hour. We’re now Facebook friends. And I knew why I would miss him. In New York, or when I’m visiting Los Angeles or when I’m pretty much visiting anywhere, I don’t chat up taxi drivers or allow them to join me at art markets. 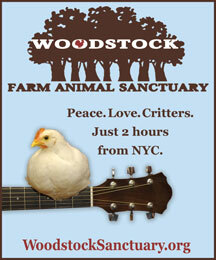 I don’t follow them into Santeria shops or ask them about their kids. I don’t tell them to be careful with their asthma, genuinely worried that bicycling through clouds of exhaust coming from vintage cars was exacerbating a medical condition. The U.S. trade embargo may have kept out Starbucks and McDonalds (though Starwood is making headway in Cuba), it may have made Cuba the time capsule that intrigues the rest of the world, but what it also preserved was Cuban hospitality, a warmth unmarred by relentless ambition to get ahead, which I see in abundance everywhere else. I would miss Josue because I knew what I was flying back to: a heads-down, self-involved affluenza neighborhood where moms at book clubs compare their wedding band upgrades; where, three miles from our house when my daughter had a bicycle accident and was crying loudly over her bloody foot, three people jogged past us as if we were in their way. I was flying back to Trump’s America, to rainy weather where the temperatures were in the 50s, to a dance studio where my favorite teacher no longer taught, to where no one would offer to take me to a Santeria shop without something in exchange. Towards the end of our ride, Josue either said that next time I come, I bring my entire family or next time I come, I should meet his entire family. Either way works. Josue, if you’re reading this, muchas gracias. Espero ver ti próximo año cuando visito otre vez. 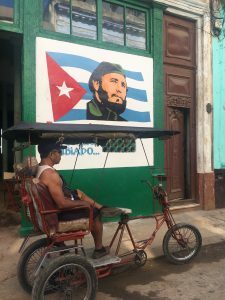 This entry was posted in Cuba, International Travel, Travel and tagged Bicycle taxis, Cuba, Havana, international travel, Santeria, taxi drivers, travel on May 12, 2017 by katrina.